SWITZERLAND, Zurich — Based on breaking news and events, it appears that CIA Headquarters beneath Lake Geneva is plotting a wave of asylum seeker/refugee, Islamic and/or Turkish terror attacks in Germany this week, possibly via Malaysian Airlines Flight MH370. Consequently, soft targets in German such as airports, landmarks, nuclear reactors, trains, train stations, theaters and schools may be targeted for mass attack by the CIA. Military-related targets such as U.S. military bases and naval bases could also suffer an attack. In order to highlight Turks in Germany just prior to a wave of state-sponsored attacks by Turkish immigrants and/or nationals, it was reported on April 15, 2016, that German Prime Minister Angela Merkel will allows an inquiry into a Turkish comic’s insult on Turkish President Erdogan. In what appears to be pre-German terror programming, it was reported on February 13, 2016, that French Prime Minister Manuel Valls told an audience at the Munich Security Conference in Germany that more major attacks in Europe are a “certainty”. Valls, stated, “We must be fully conscious of the threat, and react with a very great force and great lucidity. There will be attacks. Large-scale attacks. It’s a certainty. This hyper-terrorism is here to stay”. How Valls knows the plans of ISIS only makes sense when it’s understood that both the French government and the state-sponsored terror group ISIS are under the command and control of the CIA which is located in Switzerland. The impending atacks in Germany will be used to: a) revoke or repeal the Schengen Agreement which allows free travel through Europe, namely in Switzerland; and/or b) revoke or repeal the Dublin Regulation which governs asylum law in Europe, namely in Switzerland. Based on breaking news and events, it appears that CIA Headquarters beneath Lake Geneva is plotting a wave of bio-terror attacks in Europe which will predictably be blamed on the state-sponsored terror group known as ISIS. As depicted in the May 25, 2015, Truther.org report entitled “ISIS ENDGAME: How and Why the CIA Created ISIS as Cover for Nuclear and Biological Terror Attacks”, ISIS was specifically created in order to turn the world upside down in the aftermath of revelations that Switzerland is home to the CIA. Therefore, the impending bio-chemical attacks will be executed in part in order to revoke the Dublin Regulation which governs asylum law in Europe, namely Switzerland. Consequently, some of the alleged bio-terrorists will predictably be asylum seekers and/or refugees from the Middle East. As foretold in the Bio-Terror Bible, the genesis of the 2015 bio-terror pandemic will be a “made-for-TV event”whereby millions will witness the bio-terror outbreak in person or on live television. Consequently, bright orange, red, green or yellow colored gas will be used in the bio-attack. The staged bio-terror “event” will likely occur when the agents known as anthrax (Bacillus anthracis) and/or smallpox (Variola major) are allegedly released by terrorists into a controlled environment such as subway, train, or train station. 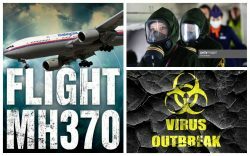 That being said, the CIA may stage a 9/11-style bio-terror attack in Europe via Malaysian Airlines Flight MH370 which was specifically hijacked by CIA on March 8, 2014, in order to execute a surprise WMD attack. Consequently, skyscrapers, sporting events and landmarks may suffer a bio-terror attack. The notion that the CIA is plotting a bio-chemical attack in Europe was first identified back on June 26, 2015, when a man was reportedly beheaded at a gas factory in France. The incident was staged in order to associate “gas” with Islamic terrorists just prior to an ISIS-inspired bio-chemical attack in Europe. Roughly 5-months later on November 19, 2015, it was reported that an ISIS terror branch is now seeking to produce chemical weapons. The timely report from U.S. and Iraqi intelligence was designed sell the notion that ISIS is planning a far more deadly attack, namely in Europe. Coincidentally, a day later on November 20, 2015, French Prime Minister Manuel Valls warned that ISIS could be planning a bio-terror attack, stating that “We must not rule anything out…But we know and bear in mind that there is also a risk of chemical or bacteriological weapons“. Translation: the CIA is now plotting state-sponsored bio-chemical terror attacks in France which will be executed under the ongoing state of emergency which was declared in the aftermath of the state-sponsored Paris Terror Attacks on November 13, 2015. Coincidentally, a day later on November 21, 2015, it was reported that chemicals and explosives found in terror raid in Brussels, Belgium, confirming, albeit in a de facto manner, that a state-sponsored bio-terror attack in Europe is now imminent. In what appears to be pre-French bio-terror attack programming, it was reported on November 23, 2015, that protective bio-hazard suits were stolen from a hospital in Paris. Post-bio-terror attack, it will predictably be said that the suits were stolen by Islamic terrorists in order to produced and handle bio-chemical weapons. In order to psychologically prepare Europe for the impending bio-attack, it was reported on November 26, 2015, that white powder which was found at a Brussels mosque turned out to be flour. Needless to say, the anthrax scare was orchestrated by the CIA in order to foreshadow an Islamic bio-terror attack in Europe. In the aftermath of an unprecedented ISIS-inspired bio-terror attack and subsequent pandemic that culls tens of millions, it will said that the bio-chemical weapons emanated from Syria. Said weapons will have been transported out of Syria by ISIS who is openly being funded by the Obama administrationunder the guise of the Syrian Rebels. Lastly, on December 14, 2015, it was reported that 2 Syrian terrorists were arrested in Geneva on suspicion of the “manufacture, concealment and transport of explosives or toxic gases, as well as on suspicion of violating the prohibition of groups such as al Qaida, ISIS and similar organizations”. Consequently, it can be deduced that bio-attacks in Europe are imminent. In order to provide a timely motive for Islamic terror attacks in Germany, it was reported back on March 26, 2015, that Germany officially banned the Islamist militant group Tauhid Germany. The ban was evidently designed to coincide with revenge-like Islamic terror attacks in Germany. A secondary motive was subsequently provided on April 12, 2015, when it was reported that Germany sent arms to Peshmerga in order to fight ISIS, the primary terror arm of the CIA in Switzerland. In what appears to be CIA-spawned Hollywood programming for a wave of Islamic terror attacks in Germany, it was revealed back on April 27, 2015, that the hit television series “Homeland” will be going to Germany for season 5. Needless to say, life will imitate art. Roughly 3-weeks later on April 30, 2015, it was reported that a bomb and rifle were found in German anti-terror raid. A day later on May 1, 2015, German police allegedly thwarted a terror plot to bomb a cycle race. Both the terror raid and the foiled terror plot were fabricated or staged in order to create the necessary terror narrative in the media just prior to a wave of state-sponsored Islamic terror attacks in Germany. In order to highlight Muslims and terrorists just prior to terror attacks in Germany, German police arrested 4 people on May 6, 2015, that were suspected of plotting an attack on Muslims and asylum seekers. In order to sell the notion that the German government needs to spy on the German people in order to keep them safe from impending terror, German Chancellor Angela Merkel recently defended German intelligence agencies over allegations that they spied on behalf of the NSA. Since the world’s respective intelligence agencies work on behalf of the CIA in Switzerland, the allegations are nothing more than a distraction. Nevertheless, on May 6, 2015, Germany reportedly stopped spying for the NSA. 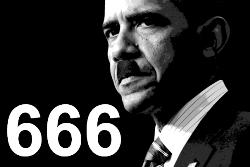 Consequently, a future terror attack in Germany will be blamed in-part on the lack of government spying. A few weeks later on May 23, 2015, it was reported that German police are “understaffed” in face of Islamist threat, confirming, albeit in a de facto manner, that Islamic terror attacks in Germany are now in play. Roughly 3-months later on August 5, 2015, it was reported that ISIS threatened revenge on Germany in new German-language video. The video was designed to sell the notion that ISIS members speak German and therefore are homegrown in nature. In what appears to be a preview of German refugee terror to come, it was reported back on August 22, 2015, that protesters in Germany attacked refugee buses while shouting “foreigners out”. Needless to say, the attack has set the precedent for a far more deadly attack on refugees within Germany. Roughly, a month later on September 20, 2015, an arson-related attack destroyed a future German migration center. The escalating attacks against refugees are being orchestrated by the CIA in order to create a believable narrative for a horrific asylum-related terror attack in Germany. In what appears to be a CIA-spawned publicity stunt designed to draw unprecedented media publicity to Middle-Eastern asylum seekers in Germany just prior to a state-sponsored terror attack for which they are scapegoated, it was reported on September 17, 2015, that an Iraqi asylum seeker threatened to jump off a building in Berlin. That same day, September 17, 2015, it was also reported that German police killed an Islamic extremist after a knife-related attack. Needless to say, the attack has set the precedent for far deadlier Islamic-related terror attacks in Germany which will most likely be blamed on asylum seekers or refugees. A day later on September 18, 2015, traitorous Infowars published a report entitled “Radical Islamists Recruit Refugees in Germany”, further selling the notion that ISIS-inspired refugee-related terror attacks in Germany are imminent. Three days later on September 21, 2015, it was reported that two German women were found living in an airport in Cyprus for over a year. The CIA-spawned propaganda report was designed to associate Germans with airports and the Middle East just prior to an Islamic terror attack at a German airport. A day later on September 22, 2015, Breaking Israel News published a report entitled “Fears Grow as ISIS Recruiter Arrested in Germany”, further confirming, albeit in a de facto manner, that state-sponsored terror attack are now in play for Germany. Also on September 22, 2015, Yahoo News published a report entitled “German Intelligence ‘Concerned’ Islamists Recruiting Refugees”. Translation: asylum seekers and refugees will be blamed for upcoming false-flag terror attacks in Germany. In what appears to be pre-Neo-Nazi terror attack logistics, it was report on October 21, 2015, that Neo-Nazis have infiltrated German refugee shelters. Translation: state-sponsored Neo-Nazis have now been placed inside refugee camps in order to execute insider terror attacks. Roughly a week later on October 29, 2015, it was reported that the German rapper who joined ISIS was killed in a U.S. strike. Needless to say, the double-cross assassination of the terrorist rapper was designed to draw unprecedented media attention to Germany just prior to a wave of ISIS-inspired attacks. In what appears to be pre-asylum seeker/refugee terror logistics, it was reported on October 30, 2015, that thousands of Muslims have disappeared from German refugee camps. In the wake of Islamic terror attacks in Germany, it will predictably be said that the terrorists originated from the abandoned camps. In what appears to be a preview of German Neo-Nazi terror to come, it was reported on November 2, 2015, that state-sponsored Neo-Nazis terrorized asylum seekers with firebombs in a brazen attack on refugees in a German town. Lastly, in what appears to be pre-Islamic terror programming for Germany, Infowars published a report on November 5, 2015, entitled “Muslims in Germany: Your Children Will Pray to Allah or Die”. Consequently, Islamic attacks on schools or other child-related entities may now be forthcoming. In order to program the Swiss people for Turkish terrorists hijacking commercial airliners which they will then use to execute 9/11-style terror attacks in Switzerland, it was reported back on April 8, 2015, that a Swiss man was arrested at the Zurich Airport en route to Turkey to join ISIS. The incident was evidently fabricated or staged in order to associate Swiss airports (and thereby Swiss airplanes) with both terror and Turkey prior to a 9/11-style terror attack in Switzerland emanating from Turkey. In order to put a global terror spotlight on Turkey just prior to state-sponsored attacks in Switzerland, it was reported back on April 10, 2016, that Israel and the United States beleive that there are “credible threats” in Turkey regarding tourist locations and ports. In other words, the CIA is plotting attacks eminating from Turkey via means of travel, most likely airplanes. In what appears to be the terror group which will be implicated in upcoming Turkish terror attacks in Switzerland, it was reported on May 4, 2016, that Russia’s state security service said it had arrested a group of central Asian citizens who had been ordered by leaders of “terrorist groups” in Syria and Turkey to carry out attacks in the Moscow region. Russia’s Federal Security Service (FSB) stated that the attacks had been planned for Russia’s May holiday celebrations and it had seized large numbers of weapons and explosives. Interfax news agency quoted the FSB as stating that “(The attacks) were ordered by leaders of international terrorist groups operating in Syria and Turkey”. The country of Turkey has had at least 20 hijacking-related incidents since 1972, possibly more than any county on Earth. Needless to say, these incidents have set the precedent for hijack-related terror attacks emanating from Turkey. Back on January 6, 2011, passengers on a Turkish Airlines jet overpowered a man who tried to hijack their flight from Norway to Istanbul. Roughly 3-years later on February 7, 2014, a passenger reportedly tried to hijack a Turkey-bound commercial airliner and fly it to Russia. Nine months later on November 29, 2014, a Turkish Airlines pilot inadvertently triggered the hijack alert on a flight from Frankfurt to Istanbul. Needless to say, these reports, taken collectively, suggest that Turkey may be home to airliner hijackings that will likely result in 9/11-style terror attacks within Europe.